KUALA LUMPUR (Dce 31): Our intention have never to demolish or build over the Vivekananda Ashram, but to develop the adjoining land, says trustee R Sri Skanda Rajah. He said the trustees were also not asking the government not to gazette the building as a heritage site, only the land. “We are not suing the government, no. We are appealing for the land not be gazetted. Just the land, because we want to use the back portion of it that is not used. We are not asking for the ashram building not to be gazetted,” he said at the ashram yesterday, where the trustees were gathered to attend the annual general meeting (AGM). Sri Skanda said there had been a lot of confusion over how matters stood, and reiterated that the trustees did not wish to demolish the ashram to make way for a condominium. “The plan is to have the development behind the ashram. It would not be affected all,” he said. Sri Skanda said the purpose of the development was to generate a sustainable income so as the committee could carry convert all four schools under its management into Trust Schools. “Malay schools are funded by the government while the Chinese schools receive a lot of private funding which allows the students to enjoy very good quality education. 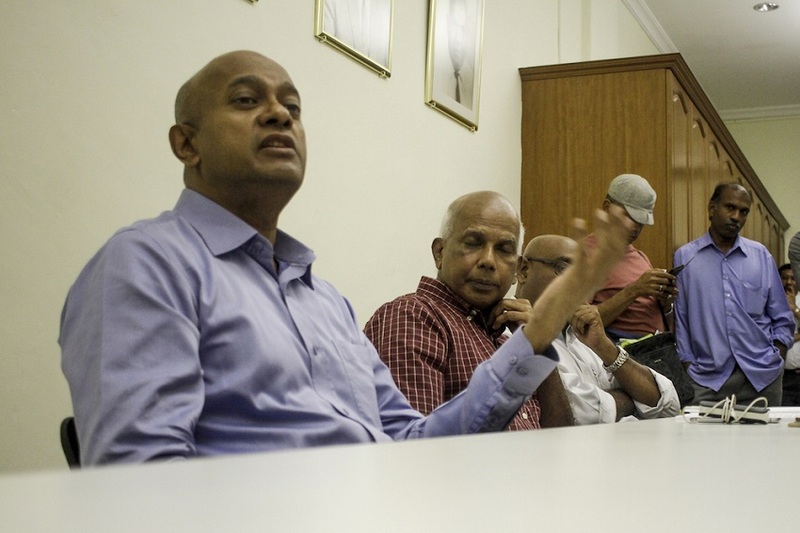 But the Tamil schools do not enjoy that level of funding,” he said. He said the funds receive previously were used to convert one of the four Vivekananda schools into a trust school. “It changes the whole student-teacher dynamic, and as a result, the students have a prepared approach to life when they leave school,” he said. Sri Skanda said previously, the ashram received RM500,000 to RM1 million a year in funding but it has received nothing since the controversies. “To run four trust schools will cost us about RM4 million to RM5 million a year and the only way we feel we can do it is to unlock the land at the back of the ashram,” he said. Sri Skanda said a company had made an acceptable bid for the tender to develop the land. “The company will give the ashram 100% of the funding of RM58 million nine months from when it is given the tender,” he said, adding that the trustees were advised by an independent development committee. Vivekananda Ashram secretary S Pasupathi said the public also had the misconception that the government was providing the Vivekananda schools with RM6 million a year in funds. “The RM6 million is a government grant specifically requested by the committee from the former education minister for the expansion of three schools,” he said, adding that the funds could not be used for anything except the expansion. Pasupathi said when the matter was settled in court, the committee would call for an Extraordinary General Meeting to discuss the plans for development of the land behind the ashram. “The development would will bring many benefits to the students and the community,” he said. About 100 residents and members of various non-governmental organisations turned up at Vivekananda Ashram in Brickfields for acandlelight vigil yesterday to protest the trustees’ court action to stop the government from gazetting the ashram as a heritage site.